Chad Reid, Agricultural and Natural Resources Agent Iron County, Utah co-authored this piece with Beth. 1. Carbohydrates are typically measured as concentrations that change only a small amount during the year, but fluctuate widely throughout the day. 2. Concentrations don’t reflect the total amount of carbohydrate available for regrowth. To accurately measure the total amount of carbohydrates, the concentration of soluble carbohydrates in different plant tissues (roots, crowns, leaves, stems) must be multiplied by the weight of those tissues. Most early studies only analyzed roots and crowns, but stems in grasses and forbs and twigs in shrubs are also important storage sites for soluble carbohydrates. 3. Carbohydrate reserves, whether expressed as concentrations or as total amounts, are not correlated with the ability of a plant to regrow after grazing. The rate and amount a plant can regrow without light are also not correlated with either concentrations or total amounts of carbohydrate reserves stored in the roots or crowns of the plant (Richards and Caldwell, 1985). 4. The carbohydrate reserve stored by bunchgrasses is very small, equal to about 1 to 2 days of photosynthesis during the summer. So, what factors are important for plants to tolerate grazing? Differences in structure enable some plants to better tolerate grazing (Briske and Richards, 1995). 2. Grasses, forbs, and shrubs that protect growing points (meristems) have the potential to regrow quickly following grazing, thus reducing the amount of nutrients and water needed to regrow. Some grasses and forbs do not elevate growing points until late in the growing season, protecting them from grazing. 3. 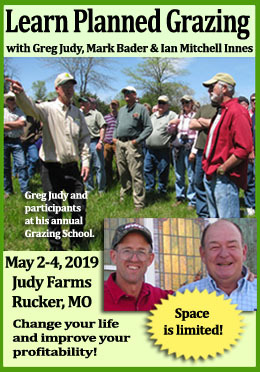 Grasses that develop new shoots at the same time during the grazing season are less tolerate of grazing compare to plants that develop new shoots at different time during the growing season because not all shoots can be grazed at the same time. Differences in physiology enable some plants to tolerate grazing better than others. 1. 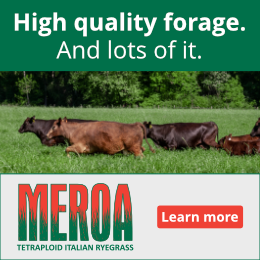 The ability to regrow quickly after grazing is important because it enables plants to quickly replace leaf tissue that produces energy through photosynthesis. Plants that regrow quickly often have increased photosynthetic rates in regrowth and the ungrazed portion of the plant (Caldwell et al. 1981). 2. A superior ability to compete for resources, water and nutrients, needed to quickly regrow enables some plants to tolerate grazing better than others (Mueggler, 1972). 3. In some plants, grazing stimulates absorption of nutrients, like phosphorus, which enables those species to tolerate grazing better than others. However, in many species, removal of leaves and stems decreases nutrient absorption because of a decrease in the root surface area (figure below) (Caldwell et al. 1985). 4. Plants that quickly move resources among shoots or from roots to shoots tolerate grazing better than plants that do not. This enables rapid adjustment of carbon and nutrient distribution among plant parts, which enhances competitive ability and survival (Bilbrough and Richards 1993). Depending on the level of grazing roots from many plants may stop growing, reducing nutrient absorption. So, what does this mean for managers? Using the carbohydrate reserve theory meant grazing was delayed until forage reached the boot or elongation stage of growth. This is the most detrimental time to graze plants in dry environments. When plants are grazed during the boot stage, growing points responsible for plant growth are removed and regrowth must occur from axillary buds at the base of the plant, a slow process that requires water and nutrients at a time when both are dwindling. But grazing during boot stage does happen. So if you’re going to graze at that time, adjust your management to leave plants taller. This graphic from the University of Nebraska-Lincoln gives us a good idea of what that looks like. When is the best time to graze? Grazing early in the growing season does not damage plants on arid rangelands as much as once thought. However, repeatedly grazing plants during the growing season can seriously damage plants. 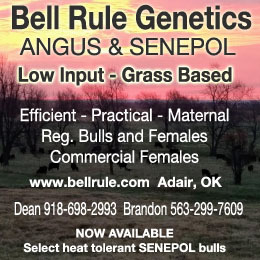 Early in the season, cattle should be moved often to allow forage to regrow while soil moisture is still available. Grazing in the boot stage is unavoidable, but creating a grazing plan that keeps cattle from grazing the same areas year after year during boot will help keep perennial plants healthy. A simple deferred grazing system can ensure plants are not grazed at the same time or stage of growth each year. Lastly, grazing after seed set is less likely to damaged rangeland plants because perennial grasses tend to be more tolerant to grazing at this stage of development. Briske, D.D. and J.H. Richards. 1995. Plant responses to defoliation: A physiological, morphological and demographic evaluation. Pages 635-710 in D.J. Bedunah and R.E. Sosebee (eds.) Wildland Plants: Physiological Ecology and Developmental Morphology. Society for Range Management. Denver, CO.
Bilbrough, C.J. and J.H. Richards. 1993. Growth of sagebrush and bitterbrush following simulated winter browsing: Mechanisms and tolerance. Ecology 74:481-492. Caldwell, M.M., J.H. Richards, D.A. Johnson, R.S. Nowak, and R.S. Dzurec. 1981. Coping with herbivory: Photosynthetic capacity and resource allocation in two semiarid Agropyron bunchgrasses. Oecologia 50:14-24. Caldwell, M.M. D.M. Eissenstat, J.H. Richards, M.F. Allen. 1985. Competition for Phosphorus: Differential Uptake from Dual-Isotope–Labeled Soil Interspaces between Shrub and Grass. 1985. Science 229: 384-386. Mueggler, W.F. 1972. Influence of competition on the response of bluebunch wheatgrass to clipping. J. Range Manage. 25:88-92. Richards, J.H., and M.M. Caldwell. 1985. Soluble carbohydrates, concurrent photosynthesis and efficiency in regrowth following defoliation: a field study with Agropyron species. J. Appl. Ecol. 22:907-920. Finally, science based recommendations rather than anecdotal stories.